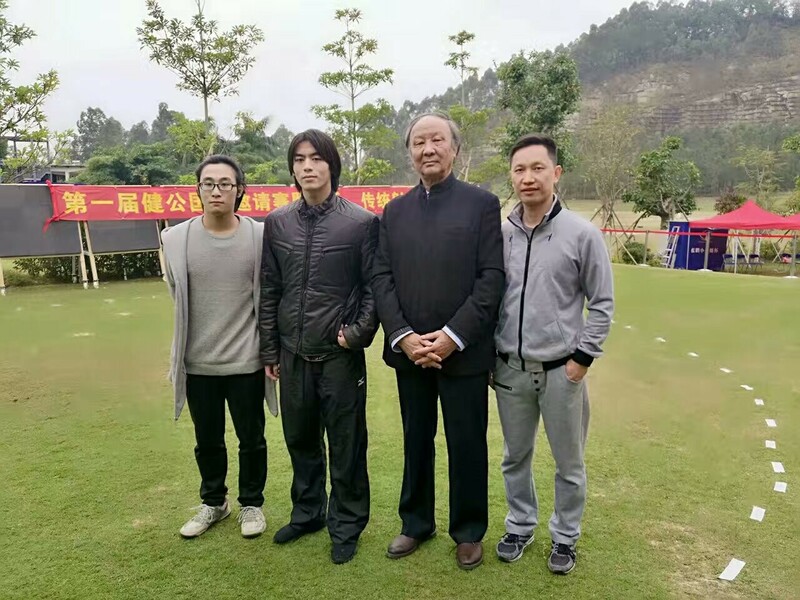 My student "Side dish" in Guangzhou has recently won an open short weaponry sparring tournament held by Master Ma Ming Da's disciples. Master Ma was famous of promoting short weaponry sparring in Chinese martial arts circle. It is the first time I got to see "Side dish" since his victory. After teaching him my latest techniques, we went on to practice application in freestyle fencing. His photo with Master Ma, along with the second place and the third place. The second place winner was a China national kendo championship.